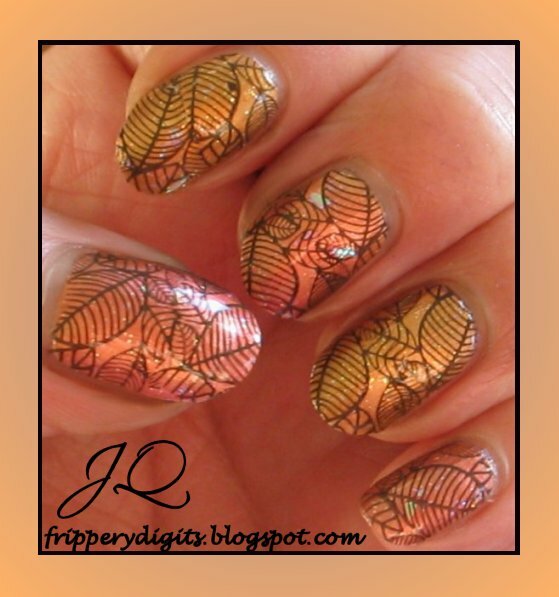 Frippery Digits: Autumn inspired mani for FNA Challenge. 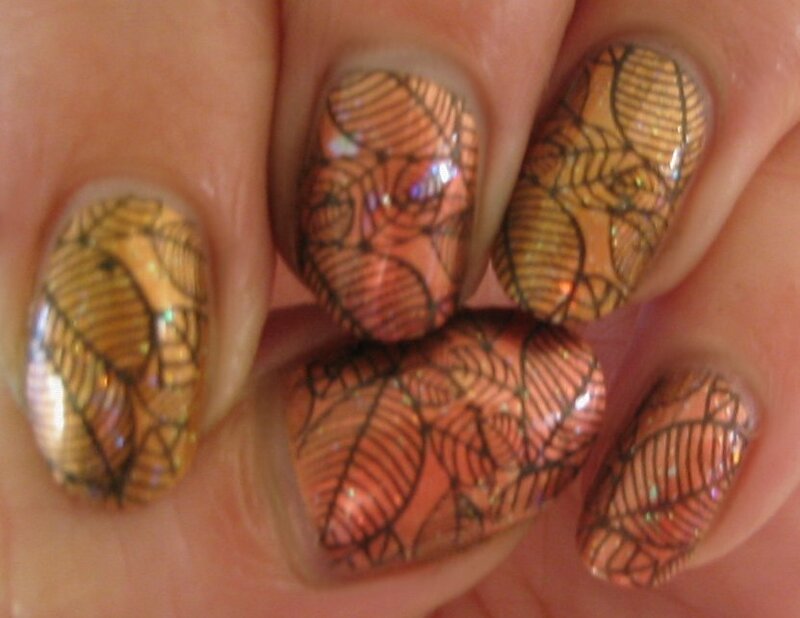 For this mani I used two coats of my Sally Hansen Chrome Copper as a base colour. 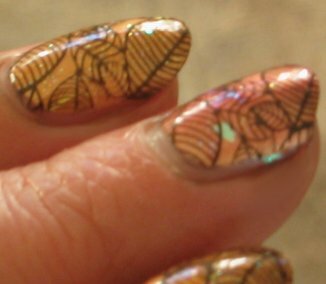 Then I went ovber every other tip with my reddest Calire's glass fleck polish, and the rest with the yellow Calire's glass fleck. This changed the look of the metallic to more bronze one and more gold on the other, while adding the bit of reflective rainbow flecks. It was a ton of happy and I am excited to go over more of my metallic polishes with these and see what happens! Next I took a charcoal grey franken and stamped using BM image plate #19. I actually tried my hand at stamping the image twice on each nail. I think this pattern lent itself to the seam better than some others might. On the nail the charcoal grey turned a deep black brown. After I stamped I finished with a coat of Seche Vite top coat. I have been experiencing a lot of shrinkage with my SV lately, despite trying to wrap my polish around the free edge of my nail. By morning I have little white slivers of my tips showing at the edge of the polish. So this was my entry for last week's Autumn inspired Fab Nail Art Challenge that Mae and Thrishza have been hosting for the past several weeks. Hooray for nail art challenges! Big Fan! Thanks gals! I agree with thriszha! well done ... I love it! So pretty love that leaf stamp! this is amazing!! :) I love how you mixed the colors! Love these. I'm just now learning that frosty polishes make good bases for layering bc then the brushstrokes are hidden. 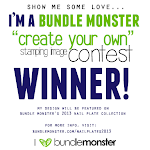 And... that's one of my fave bundlemonster patterns! Thrishza and Mae: Thank you and I am super excited about the animal print challenge! I always love both of your entries so much! Alice: Thanks bunches! It was a great surprise for me to see the results. Always excited to find a fellow Canadian nail polish blogger.. Doubly excited to find a Saskatoony as well!! Oh, and, this is absolutely gorgeous!! very pretty :) i love the colour, so foily!